Who says math isn’t good for anything? 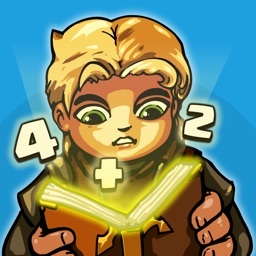 In the fun new RPG Math and Sorcery, you’ll best testing your addition, subtraction, multiplication, and division​ prowess while battling enemies and bosses. During play, you’ll need to solve the different math questions to increase the attack multiplier and cause the most damage. There are more than 100 different levels to battle. You can also acquire up to 15 new companions to help with the journey. They will boot one attribute including health, attack, and luck. Experience points can level up the hero while battle loot is used to improve companion. Along with a number of different achievements, you can even compare stats and progress with friends. Math and Sorcery is designed for the iPhone and all iPad models. It can be downloaded now on the App Store for free. There are in-app purchases available. Next articleHow to resolve InvalidSelectorException in Selenium?